Who are The Electrician Squad? — We are the leading residential and commercial electrical contractors in Miami and the immediate environs. The Electrician Squad has years of experience providing electrical services and we are ranked among the top electricians in Miami. 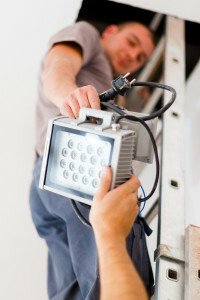 Therefore, if you were searching for the best electrician in Miami you need not seek out any further, you just found us! We have a team of certified and well trained electrical engineers and technicians to handle all your electric problems. We are the only electrical company in Miami you will ever need for all your residential & commercial electrical needs. 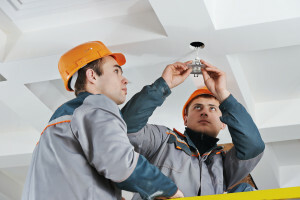 As the leading electrical contractor in Miami Florida, we provide the following services: Lighting up landscapes, wiring access controls & intercoms, installing and wiring or re-wiring hospitals and medical equipment as well as industrial machinery, parking lot & driveway lighting, installing dimmer switches, outdoor & security lighting, wiring entire array of temperature & air control systems, automating homes & setting up CCTV enabled security systems in commercial buildings, electrical panel installations, repair or updates; anything that has an electrical need, we will be there with a smiling face and a fully loaded truck ready to take on any problem or difficulty you may be having electrically. Your search for a professional and honest electrician in Miami ends here. We are fully insured, certified, appropriately licensed for commercial or residential electrical service provision with all associated permits of course. We only hire the best electricians, to ensure you always receive the best electrical services you deserve. The following is a shortened version of all the electrical services we provide in Miami FL. We deal with wiring and installation of electrical systems for all types of residential dwellings, boutique hotels, stores and other commercial or industrial buildings. Whether it’s a permanent structure, a boat/barge house or a trailer home, we have you covered. Installing Back-up Generators and other sources of energy such as grid solar systems to reduce your electricity bill. Wiring patient rooms. This includes installing nurse call systems and monitoring systems for the patients. Installing meters and electrical panels. We take pride in servicing Miami’s neighborhoods, each of them having their unique rich histories, character and architectures that make them special. This greatly enhances our services as these countless facilities and infrastructure are in need of electrical services in one way or another. Airport area – MIA is ranked 3rd for international passenger flights and 1st in cargo freight. Being a busy area, the Electrician Squad is always needed to provide electrical services at the office buildings. Most of the jobs involve tenant fit ups. Allapattah – Strategically located between the seaport and the airport, this is the center for industrial properties and agricultural produce. Many of our projects in this area include installing refrigeration units and cold storage rooms. Garment manufacturing and the fresh produce open air market provide a lot of opportunities for the Electrician Squad. 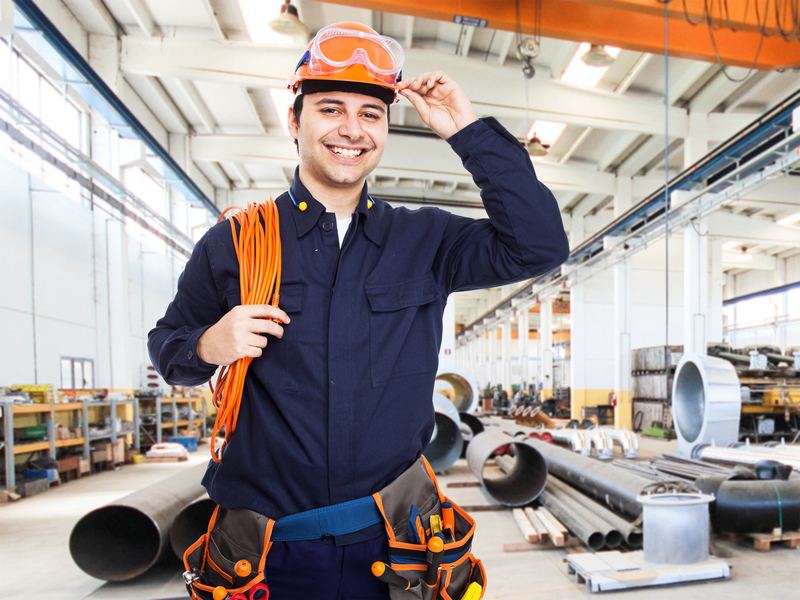 Our customers here also include auto repair and body paint shops, shipyards, upholstery & carpentry shops, dry docks (along Miami River) and junkyards. Wynwood – This is the arts district. So many other trades are carried out here thanks to the road and railway network and proximity to the airport, the downtown area and the seaport. This has greatly influenced the dense residential settlement by workers. It shares garment manufacturing with Allapattah. Coral Gables – Mediterranean style houses with green paths. Here you will find commerce and shopping centers with the European flair. Golfing, fine dining and landmark hotels are characteristic of this area. The French Normandy and Chinese historical villages are located here. Brickell Avenue – This is another business and banking center with an ever growing number of residential properties to cater for the banking executives and bankers. You can find numerous upscale eateries, condos and hotels in this region. Bal Habour, Sunny Isle and Surfside – These three have a myriad of motels, residential houses, hotels, and restaurants. You can also find fancy malls and nice Russian food here as well. Bal Harbor is home to numerous celebrity icons, millionaires, luxury couture shops and resorts. There are many business stores. Sunny Isle is for the most part a residential area with retirees making up the larger percentage. Surfside on the other hand has young families (professionals) almost outnumbering the retirees by a small margin. This is one region where the Electrician Squad is well known. Aventura – There is a growing population of Jewish young families here with affluent housing developments and condos. The Electrician Squad does a lot of landscape and pool lighting in this part of Miami. Coconut Grove – This area is filled with bars, theme restaurants, chain stores, a megaplex and hotels such as the Mayfair. A good number of our years in operation have been spent in Coconut Grove which was formerly a village belonging to the bohemians. Little Havana – Here you will find Cuban cigar factories, memorabilia shops, cafeterias, galleries, fruit stands and theaters. It’s a predominantly a Latin American neighborhood. Key Biscayne – No flashing lights are allowed in the open air market. This is also home to million dollar abodes and it is predominantly a residential area. There are hotels and dense forests here as well. Little Haiti – You can find Haitian spiritual shops and stores in this part of Miami. Liberty city – This African-American community has a theater, a music & dance studio an art gallery despite its economic depression. The Heritage Cultural Arts Center is also located here. South Beach – If there was ever a mini Hollywood this would be it! South Beach is famous for tourism because of the stylish nightclubs, elegant restaurants, beach clubs and boutiques. It’s an upscale neighborhood with approximately 800 vintage renovated hotels. Most of the neon lighting on these magnificent buildings with such a rich history is courtesy of your truly, The Electrician Squad. South Beach is a basket of subcultures adding to its amazing allure. Indian Creek – This is where most of the rich in Miami call home. Don’t hate your life if you meet a 16 year old driving a fancy car you can never afford because their mom or dad bought it. The island is closed to the public with the exception of the Electrician Squad contractors of course. Miami Beach – There are throngs of hotels, stores and a cluster of affluent single home residential areas in this region. We are basking at the top of the best electrician Miami Beach list. This area is very popular with retirees who make up a large percentage of our clientele. Downtown Miami – This is where 90% of the businesses in Miami operate from. There are over 100 local and international financial institutions in the Downtown area alone. We spend alot of hours working in this area, providing services for both individuals as well as companies. Port of Miami – It ranks 9th in the USA for containerized tonnage and 1st in the world as the biggest cruise dock which makes it one of the busiest areas in Miami and translates to a lot of man-hours for the Electrician Squad. A lot of commercial shipping is carried out here. We also cover residential, commercial, civic, light industrial and institutional buildings in Morningside, Bay harbor islands, Golden Beach, Kendall area, Florida City, Doral, Miami springs, Historic Overtown, North Miami Beach, South Pointe Park, Miami shores, North Bay Village, Opa Locka, Southwest Miami Dade, Cutler/ Perrine Bay, Fisher Island and Miami Lakes. Beach areas in Miami served by The Electrician Squad include Bal Harbor Beach, Haulover Beach, Virginia Key Beach, Windsurfer/ Hobie Beach, Matheson Hammock Park Beach, Homestead Bayfront Beach, Crandon Park Beach and Bill Baggs Cape Florida. Did you know that all the streets and avenues in Miami are labeled NE, NW, SE, SW and that the avenues run North and South while the streets go East and West? Well, that’s with the exception of Coral Gable and Hialeah. They are all referenced from the intersection of Miami Avenue and Flagler Street. Everything is straightforward if you know what you want. Finding addresses is also extremely easy which makes it better for us and you. Much of the economy is based on tourism and trade because of its proximity to Caribbean and Latin America countries. MIA (Miami International Airport) and the Port of Miami are the busiest in the entire region. This coupled with the fact that most Latin America companies have their offices here has earned Miami the title, “The Gateway to the Americas.” Over 1, 200 multinationals had already set camp in this region by 2003. Miami’s diversification and use of land is distributed throughout to accommodate civic activities, workplaces, recreational areas, residential and economic activity areas. The greater Miami paradise is an interconnection of villages, beaches, urban hubs, seafront cities and open recreation spots (including playgrounds, parks and squares). for wholesale distribution, shopping malls, storage &warehousing facilities, historic sites, residential areas (both affluent and poor), business districts and light manufacturing industrial centers. Miami city is also home to just about 75% (5 of the 8) of the neighborhood assemblies. All this is thanks to the Miami 21 code controlled zoning designations, the Beacon Council and the EZT (Empowerment Zone Trust). Tip: Lighting of 1st and 2nd layers open spaces must be compatible with abutting public street lighting. Electrical and plumbing works should be concealed from the frontage and any mechanical or electrical equipment installed on rooftops must be covered by parapets. In short this means that lighting should only serve the specific business or building. All this provides a challenge that we as electrical service contractors find interesting and very exciting to work with. This is simply because we are professionals who understand their business to the core and Miami knows it. Apart from the obvious certification and licensing, we work closely with the Planning & Zoning Department to ensure we are always current with any changes to codes and policies then use this information to advice our customer. This has helped us forge strong working relationships as we continue to offer exceptional commercial and residential electrical services. Thanks to the people of Miami we are proudly the most highly recommended electricians on the Miami Gold Coast, for a couple of years now. Our electrical service provision score still stands at 100%. We provide our regular or emergency electrical services all day, everyday throughout the year. Just call…… , email us at info@electriciansquad.com or visit our offices located at 451 Ridenour Street, Miami, FL 33132 for a free quote and we will discuss your unique electrical issue and advice you accordingly. Fun Tip: GTA (Grand Theft Auto) is themed after some of Miami’s locales.